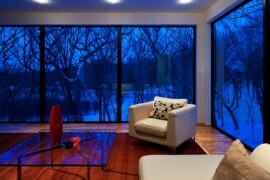 Are the freezing temperatures outside starting to take a toll on your mood? 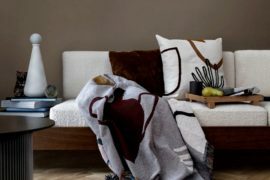 Maybe the long, frigid winter is finally starting to get to you, and with the festive season behind us, it only gets harder in the weeks ahead. 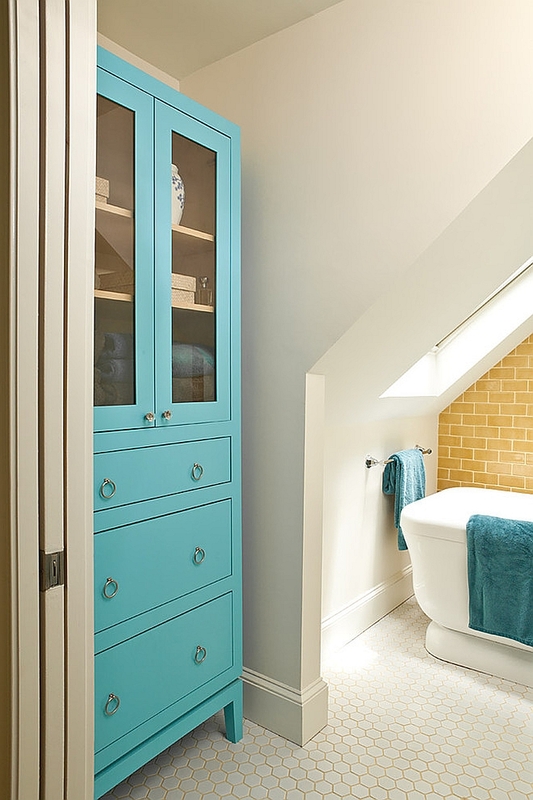 While many of us give our bedrooms or living rooms a fun revamp ahead of winter to survive the seasonal blues, we tend to forget the one space where our day begins: the bathroom! 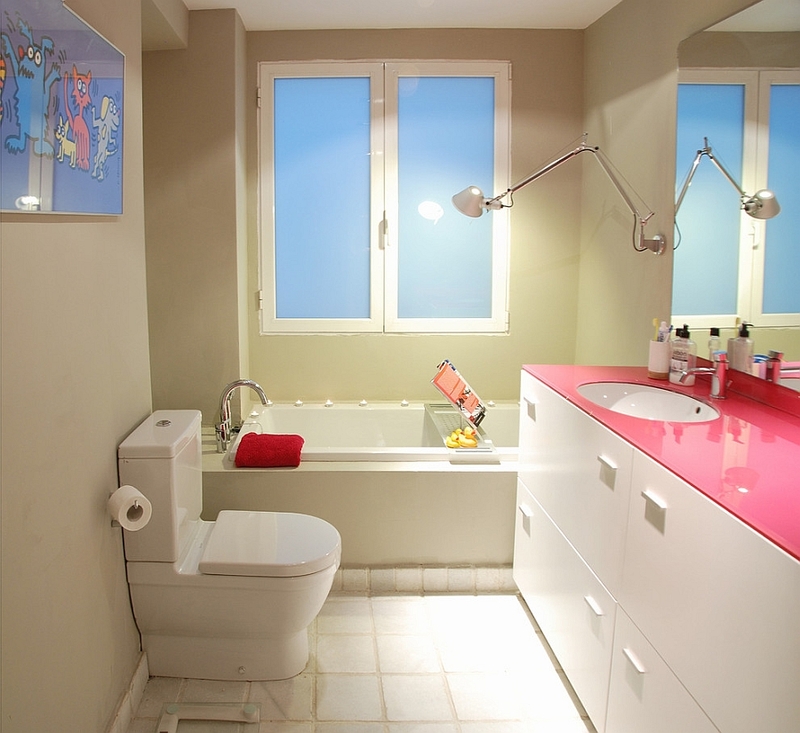 It is time to drive away that early morning despair and give your day a great start this winter by adding some energizing, fun color to your bathroom. 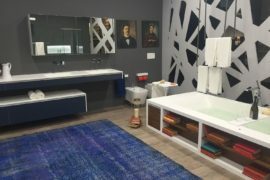 As you await the arrival of spring and dream about those warmer summer days that seem like a distant memory, it is some of those bright summer colors that hold the key to transforming your bathroom from a dull, dreary setting into a stylish, refreshing space. 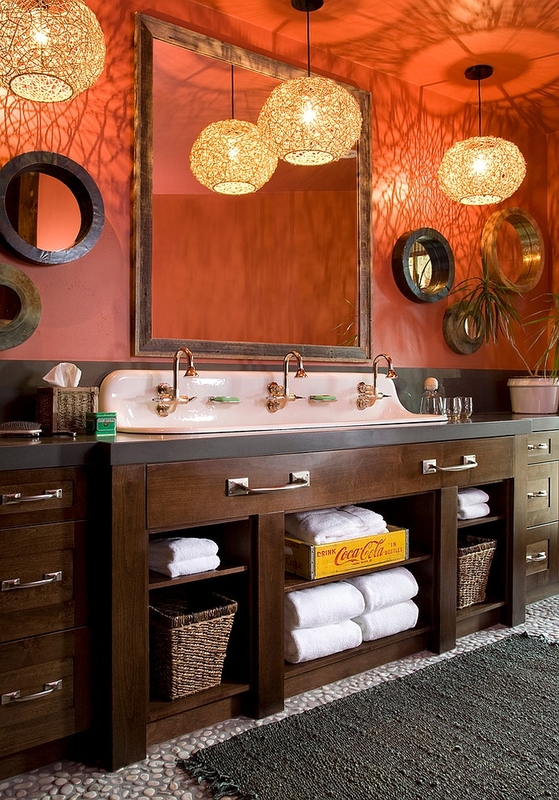 Today we take a look at 3 trendy colors that give the bathroom a bolder, warmer appeal while keeping away the weary winter vibe. 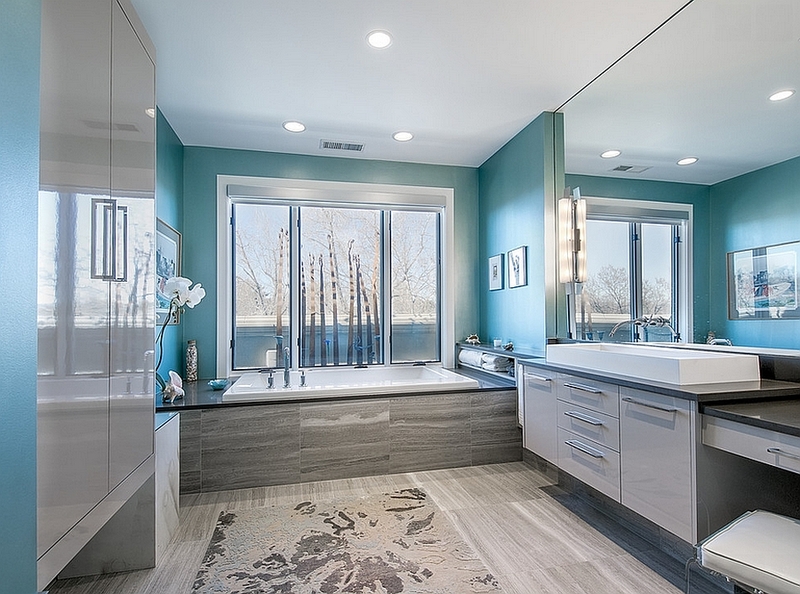 If you are looking for a color that will not only enliven your bathroom this winter, but will serve you well all year long, your search ends with the ‘ever-popular’ turquoise. 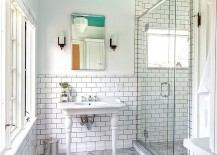 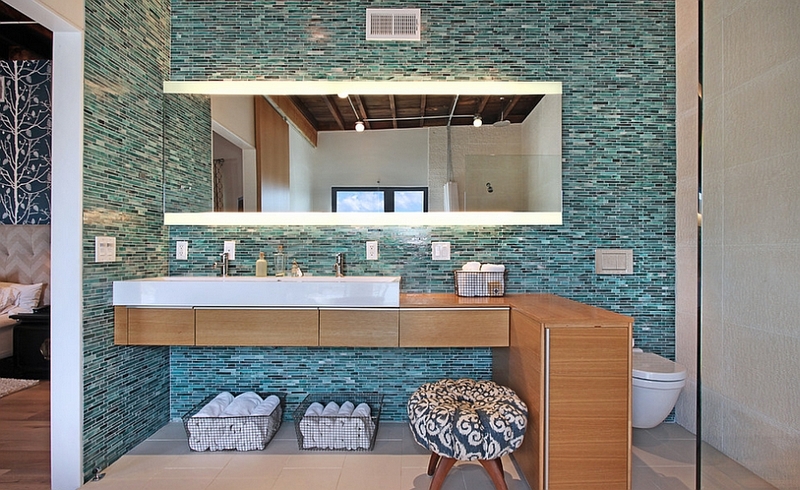 Turquoise in the bathroom is a perennial favorite of homeowners, as it evokes the images of lazy summer holidays spent on that beautiful beach or an unforgettable trip to an exotic tropical getaway! 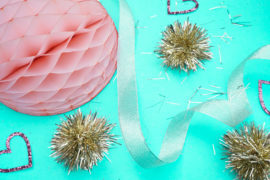 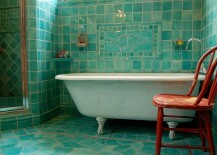 Nothing captures the spirit of summer and the effervescence of fun beachy style like a pop of turquoise. 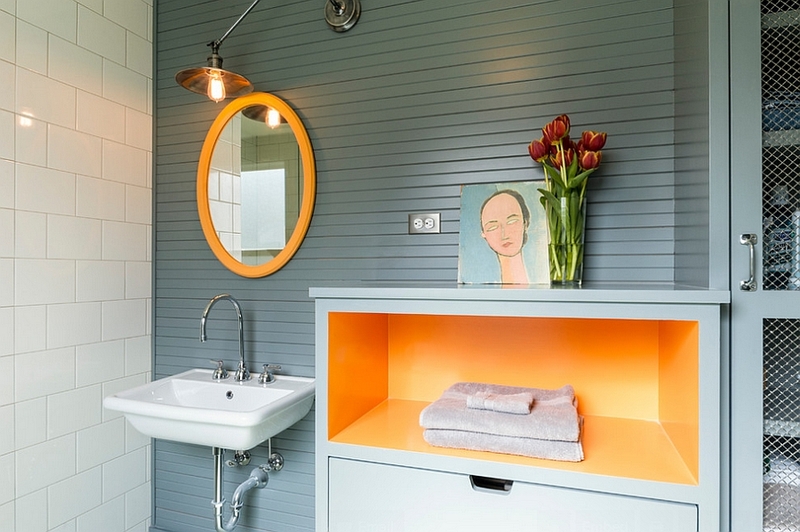 Orange and turquoise have become a hot color combination in recent times, and both colors seem absolutely perfect for a bathroom looking to drive away the dreariness of winter. 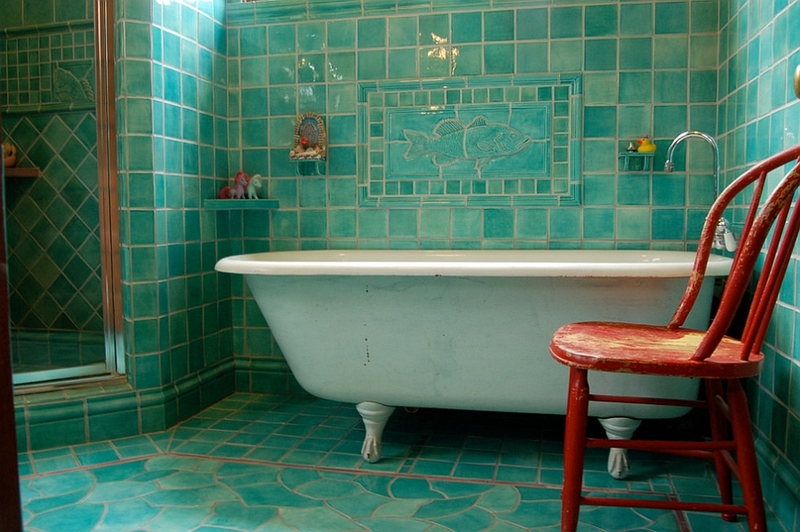 Turquoise can be used in bathrooms of different styles, and you can choose a hue and a tone that fit in with the existing look of the bathroom. 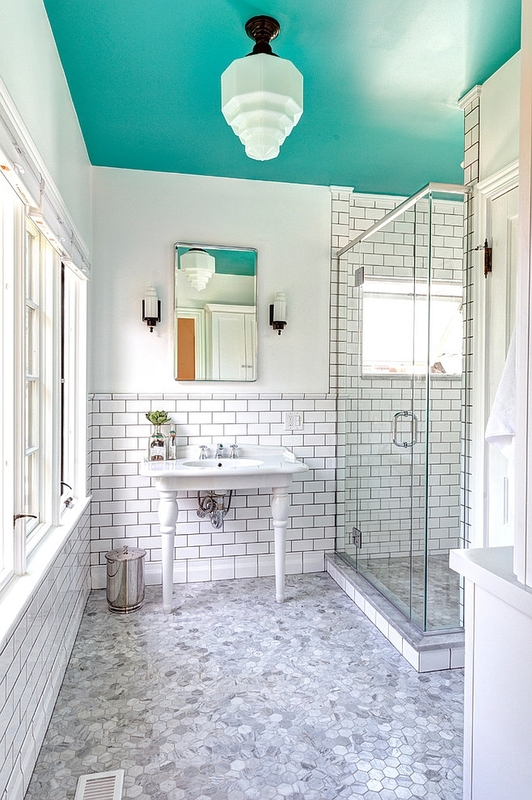 From a simple accent wall that lets the standalone bathtub in white become the focal point of the room to a ceiling painted in turquoise, there are many cool ways of adding this uplifting blue to the bathroom. 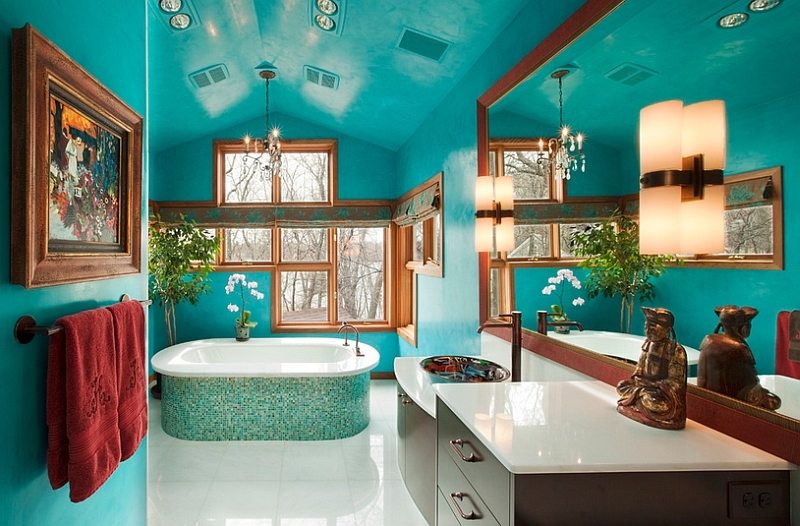 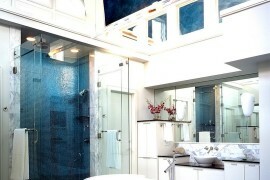 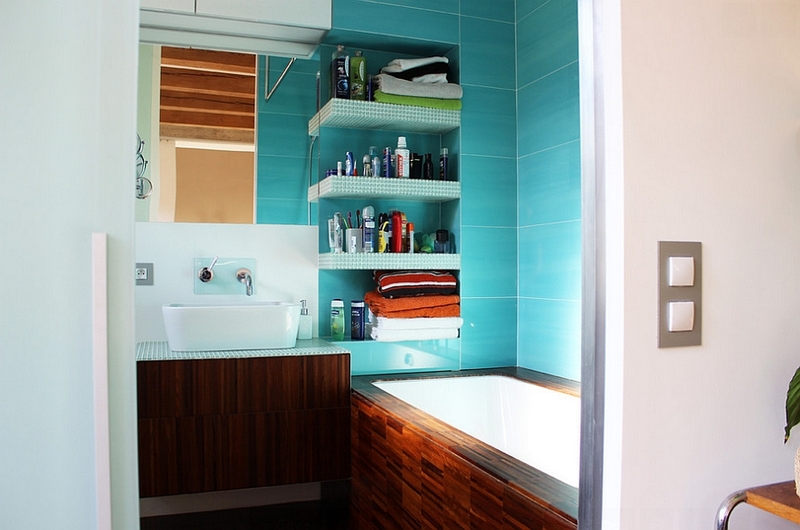 Maybe the bright and beautiful turquoise does not quite work in your bathroom. 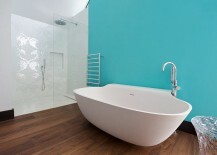 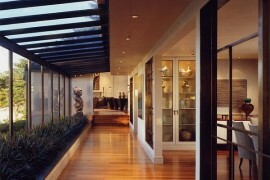 Or you could be in search of a ‘hotter’ hue that fits in with the ambiance of the master bedroom. 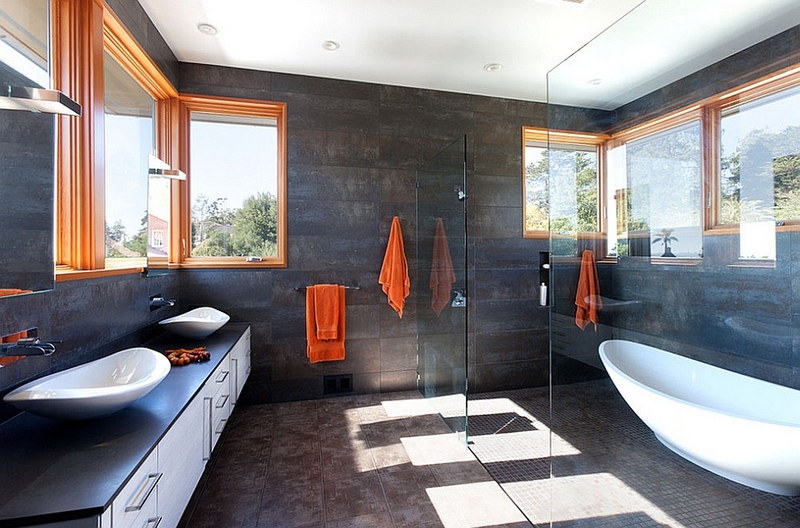 For those who want to give their bathrooms a warmer and cozier atmosphere, orange is indeed the best color choice in 2015. 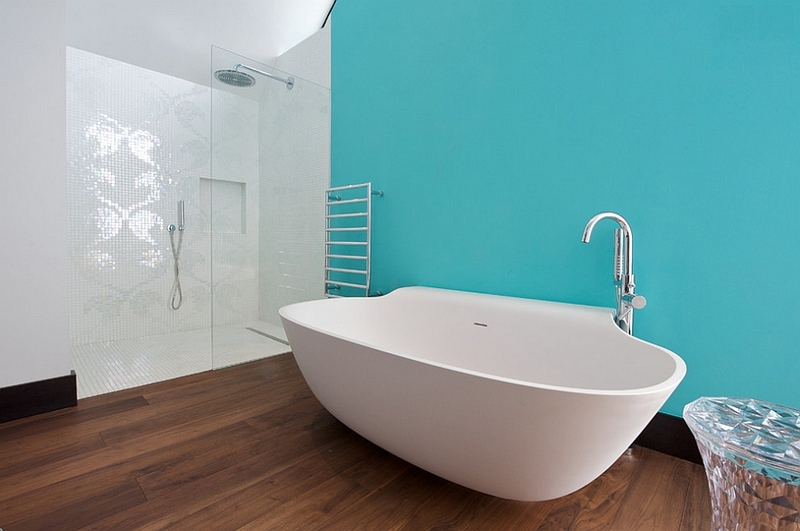 While the color was previously seen as a bit of a risky choice, designers have quickly changed that perception in the last few years. 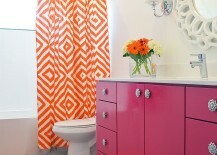 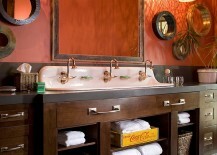 Today orange is a hip bathroom color, especially for those who live in cold places. 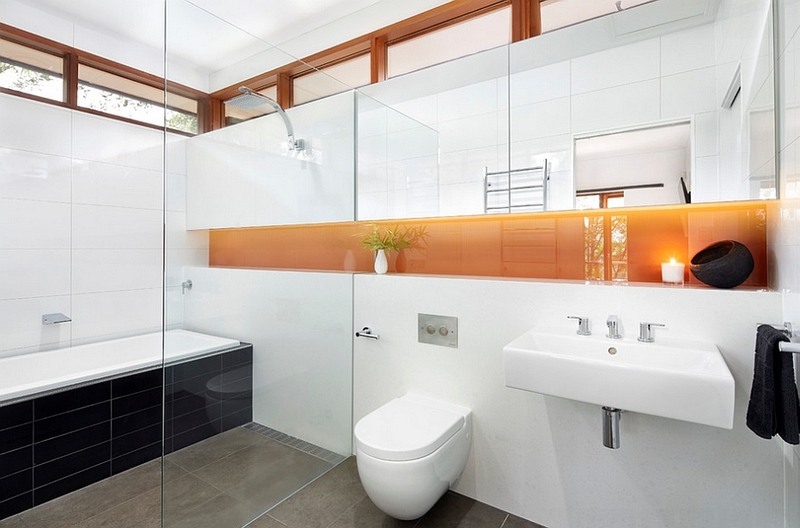 Its many shades varying from the intense to the sober can be used sparingly to make a big visual impact in any modern bathroom. 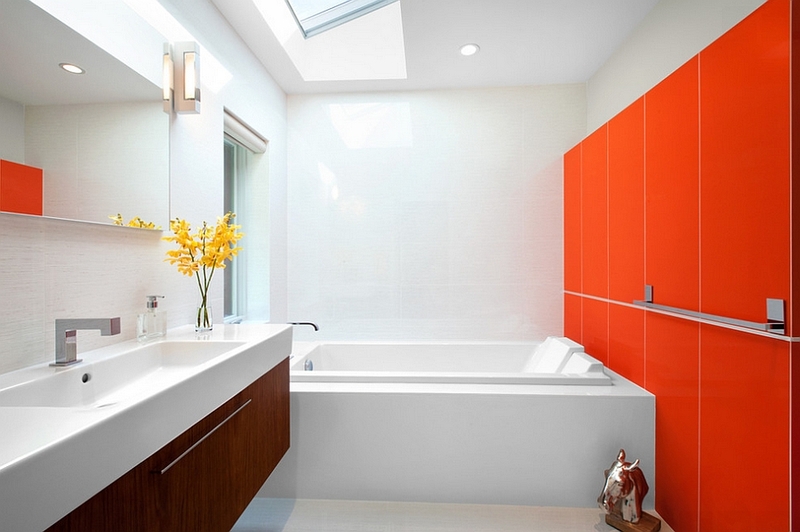 If intense orange with a glossy, neon finish is what you prefer, use such daring shades in a restrained fashion in the bathroom. 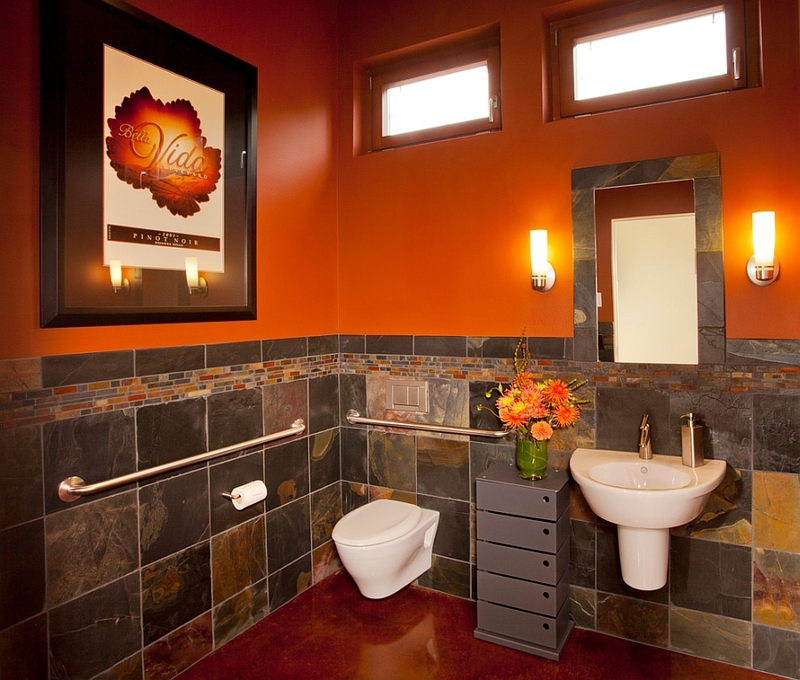 Shades like burnt or mellow orange with a matte finish can be used more extensively to create a charming backdrop that steals the show. 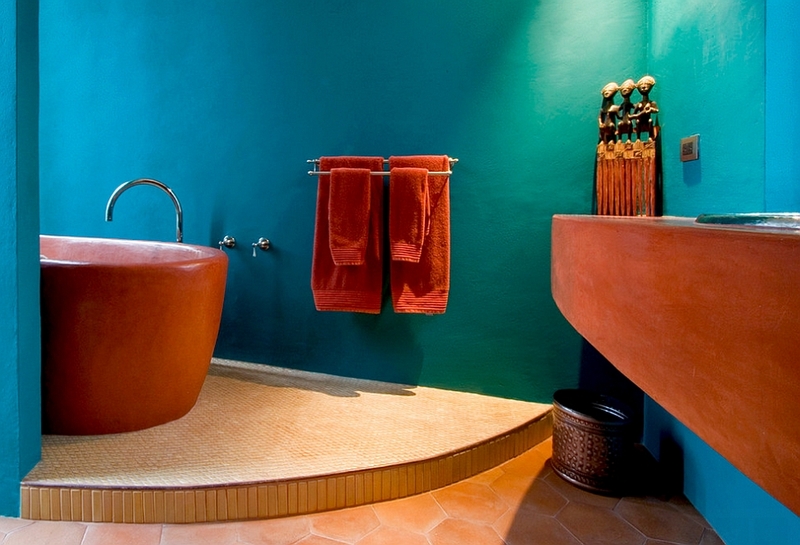 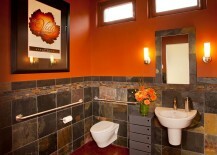 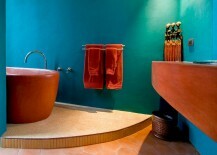 Make sure that you find the balance between ‘relaxing and energizing’ while using orange in the bathroom. 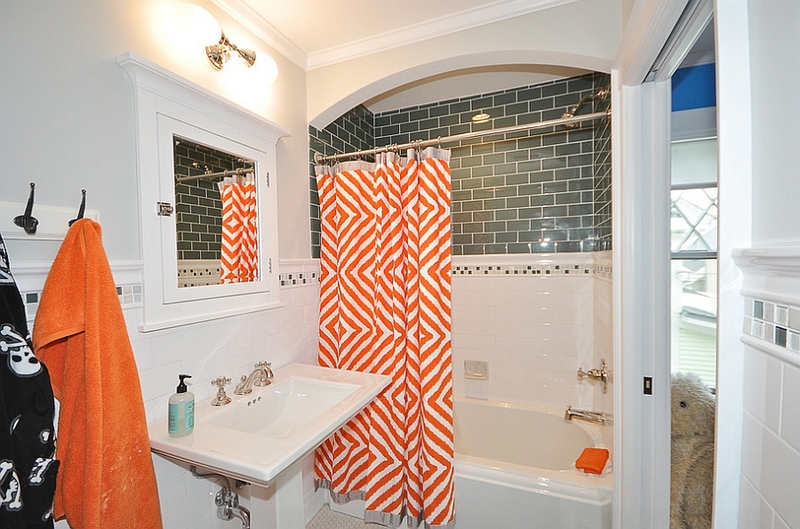 And those with color commitment issues can always start off with simple orange accents before making bolder choices. 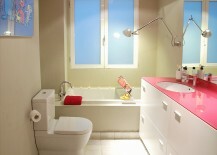 A bathroom in pink is admittedly not for everyone. 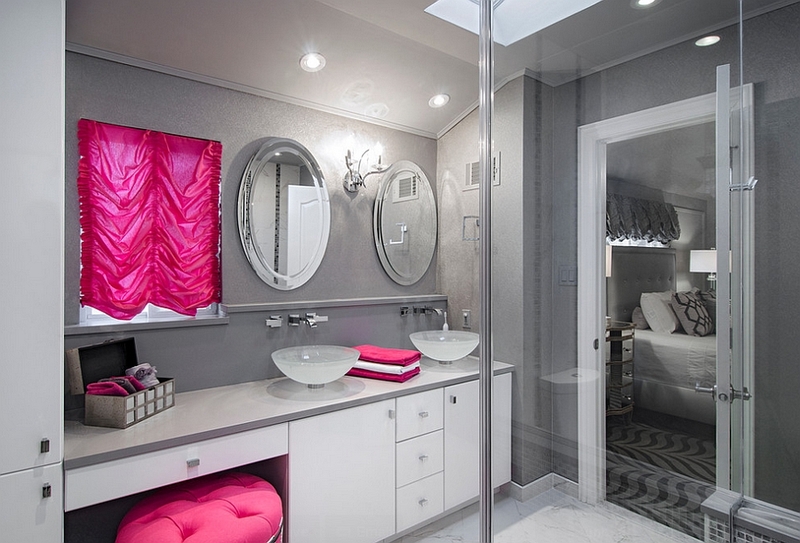 But expect more homeowners to make a turn towards pink in the months ahead, as it is predicted to go up the popularity charts when it comes to bathroom colors. When we think of pink, the first thing that comes to mind is a space filled with femininity and delicate elegance. 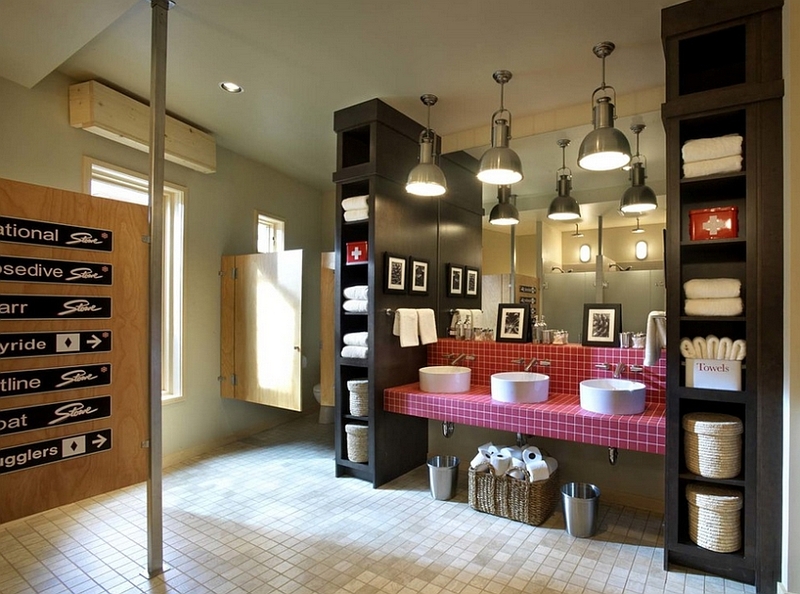 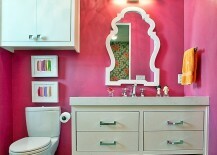 But the many shades of pink can be used in a subtler fashion to shape bathrooms that are more neutral in nature. 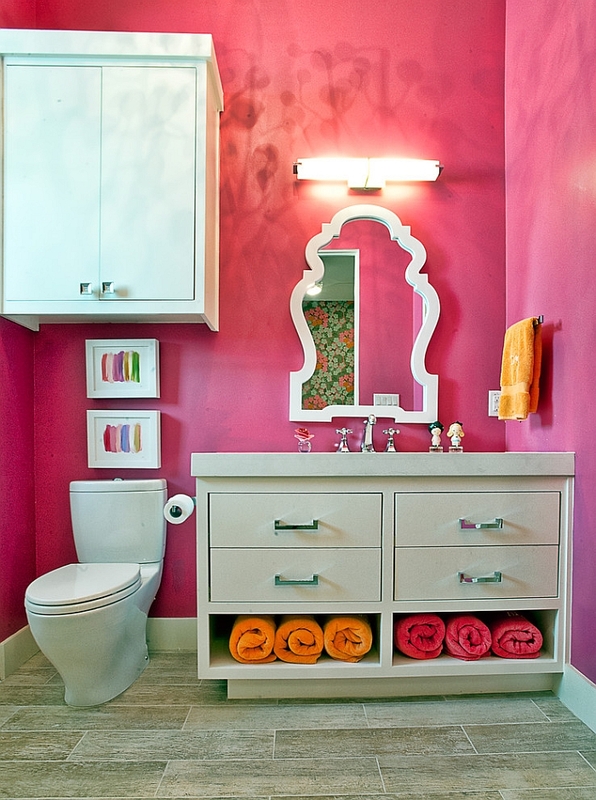 Hot pinks such as fuchsia and even cool pastel pinks will turn the bathroom into a chic refuge, even as winter rules the landscape outside. 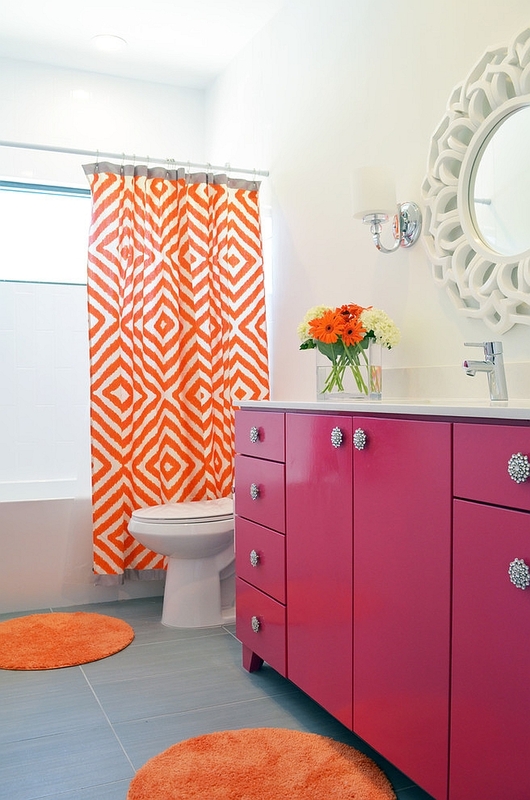 For the best results, use the color as an accent hue by adding towels, shower curtains or even a lovely vanity in pink to a neutral bathroom.